It's #MeetUsMonday and we're excited to feature Coby, our always smiling, happy to help Processing Associate. 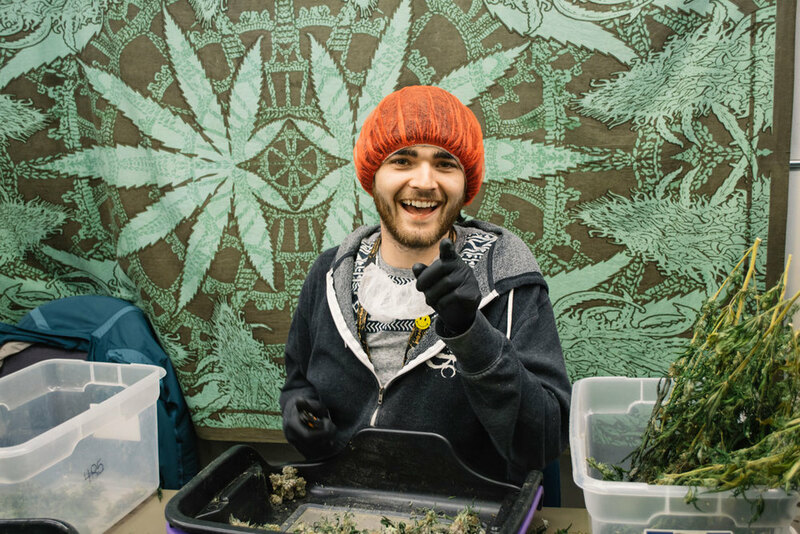 Coby started six months ago and assists with trimming, shucking, de-leafing and moving weed wherever it's needed. There's a ton of excitement in the trim room, so what's Coby's favorite thing about working at Western Cultured? He says it's the people, and the books on tape are a bonus. "We're currently listening to all the Harry Potter books," he said. "We've got about 20 weeks left [until the end of the series] then we're going to Lord of the Rings." Coby lights up the moment with his pipe while walking home from work. He's got a collection of five unique glass pieces, and likes to get high before naming them things like Quasar, Skaro and Gandolph. Coby prefers to pack his pipes with our Jurassic OGK. "I love the smell, look and it always gets me really, really stoned," he said. "It's a super earthy smell and leaves me feeling locked down, ready to think about the next big issue, like what's for breakfast." 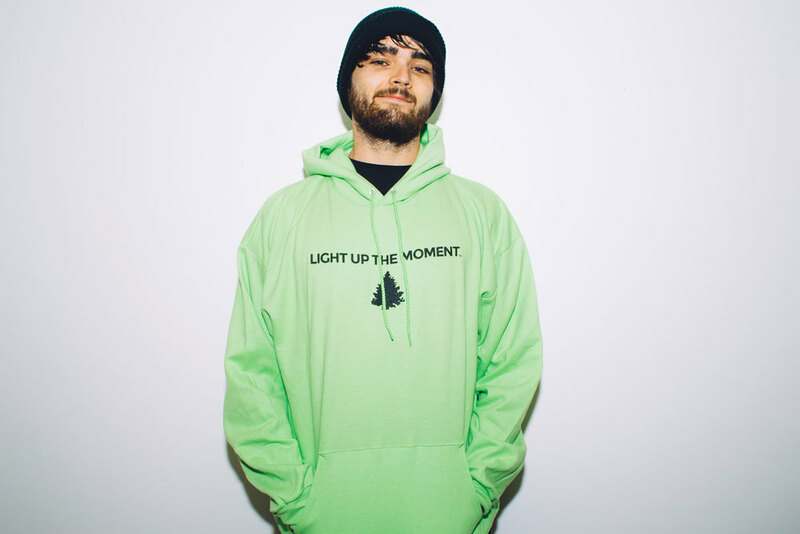 Coby hopes to stay with Western Cultured as long as possible and help build the brand. 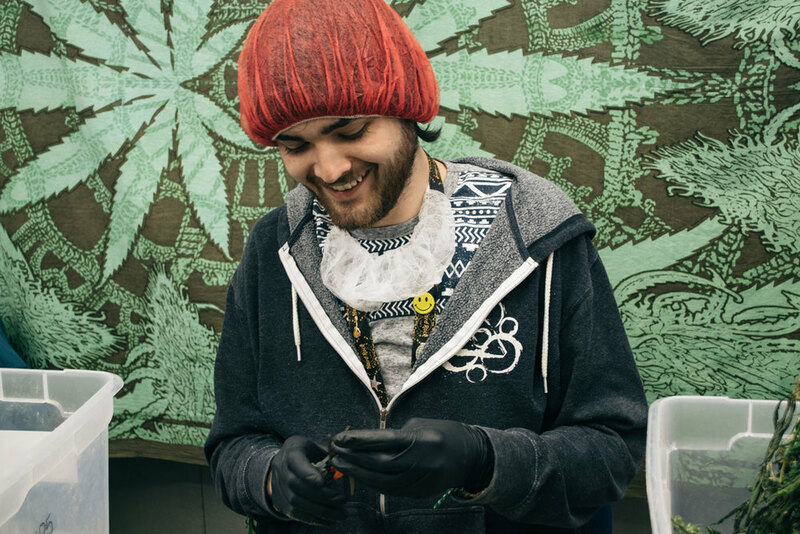 He wants to "get as high as possible in the weed industry" and we're happy to take him there. You'll be receiving a confirmation email at the address you provided. Please confirm to get Western Cultured updates. Thank you for your interest in Western Cultured! © 2018 The Holden Company, Inc. Western Cultured™, Light Up the Moment™, and the Western Cultured tree logo are trademarks of The Holden Company, Inc.
Terpene Flavor Wheel © 2016 All Rights Reserved. Reproduction or publication of the Terpene Flavor Wheel without the express written consent of The Holden Company, Inc. is strictly prohibited. CAUTION: Smoking is hazardous for your health. Warning, may be habit forming. Unlawful outside state of product purchase. It is illegal to operate a motor vehicle while under the influence of marijuana.